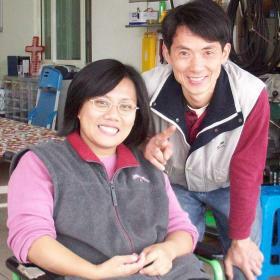 After the last polio survivor graduated from the Onesiphorus Children’s Home in 2000, it became apparent that the ministry needed to continue to extend care for alumni with physical challenges. The graduate ministry has since expanded to assist the transition of more recent graduates, including those without physical limitations, into independent adulthood. This transition is a critical time that can determine their future success. The most important aim of the graduate ministry is to encourage alumni to become followers of Jesus Christ. But in addition to spiritual guidance, we provide counsel and practical assistance to the alumni as they mature and become more independent. Our help includes support for those on low incomes, assistance with transportation for alumni with special needs, minor repairs of residences or vehicles, and accompaniment on trips to the doctor. Whatever the need, our focus is on encouraging independence in these young people. Support the Ministry of Anderson Graduate Ministry with Your Gift Today.